symptoms days later. As soon as this pain is evident, it is important to seek a medical professional as soon as possible. 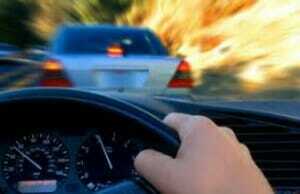 comes from and can occur even at speeds less than fifteen miles per hour. The excessive loading of the spine and surrounding soft tissues causes sprains and strains of the structures supporting the spine. This can lead to symptoms such as neck pain, low back pain, pain between the shoulder blades, as well as headaches and inability to sleep. in a motor vehicle accident and we would be happy to help you recover fully in our Alpharetta chiropractic clinic. Pain along the neck may be caused by many factors. 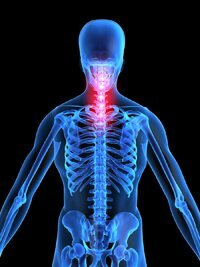 Whether it is a recent acute injury or a chronic long term issue, the most common cause is subluxations, or misalignments, of the vertebrae in the neck. This misalignment can cause pressure on nerves resulting in muscle spasm and increased pain. 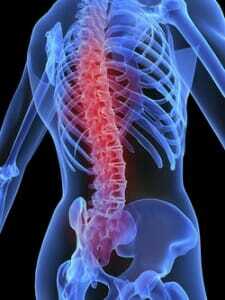 Chiropractic adjustments realign the spine, fixing the CAUSE of your pain and not just covering up the symptoms. Lower back pain is a common condition that many people believe they just have to live with on a day to day basis. Fortunately this is not the case. Using chiropractic adjustments to realign the spine and relieve muscle tension is an exceptional treatment for anyone experiencing lower back pain. Stress, loud noise and fatigue are thought to be triggering factors for headaches. While that may be true, one of the direct causes is tightness in the neck and shoulders. The tightness irritates numerous sensitive pain structures in the neck and results in headaches. This tension can be relieved through treatment including adjustments and soft tissue techniques such as massage. Scoliosis is treated by chiropractors to reverse a lateral curvature of the spine or at the very least stop it from progressing further. Treatment is an excellent alternative to anyone considering surgery. Sciatica is pain, numbness or tingling that is usually found running down the back of a leg and is caused by pressure on the sciatic nerve. This pressure may be caused at the level of the spine or it may be caused by pressure from the piriformis muscle. A thorough examination will help us determine the cause of your pain and implement the appropriate treatment necessary. Impingement of nerves can cause altered sensations and result in numbness or a pinprick feeling. Adjustments of the affected joints can increase nerve flow to relieve these symptoms. Disc herniations can be extremely painful and result in numerous physical symptoms. Depending on the individuals condition, a treatment plan with various techniques will be implemented to decrease pain, increase function and improve the condition of the disc. The cause of pain from carpal tunnel syndrome may be from misalignments at different locations including the wrist directly, the neck, or less commonly impingement at the elbow. It may also result from direct compression of the median nerve from inflamed soft tissue structures traveling through the carpal tunnel. The pain, numbness, paresthesia and other symptoms can be treated conservatively through chiropractic care instead of opting for surgery. Tendonitis is the inflammation and irritation of a tendon which connects muscle to bone. Commonly caused by overuse, this may cause mild to debilitating pain but can be treated with various therapies. Arthritis is caused by wear and tear on a joint. Major joints that are affected include the knees, hips, hands and wrists, and the spine. Adjustments help to maintain movement of the joints and stop the progression of osteoarthritis. The nervous system controls every other system in your body and therefore has a direct impact on your immune system. A properly aligned spine allows for optimal functioning of the immune system. This means your body is able to fight allergens more readily resulting in decreased symptoms and increased overall health.